Set in a beautifully restored Villa dated 1920, Villa La Colombina self catering apartments, retain the period charme boasting fine modern interiors. 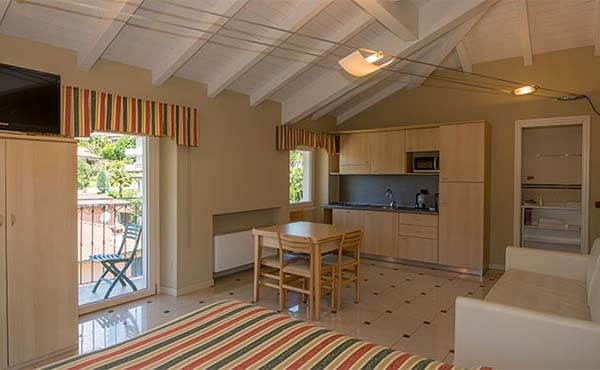 Every Studio of the Villa accommodates up to 4 people and each of them can be interconnected to the next one to increase the number of guests up to 8 on one floor. The Villa is the ideal location for family reunions or whenever you simply need more space. At this purpose, you can book the entire Villa, if you are a large number of people travelling together. 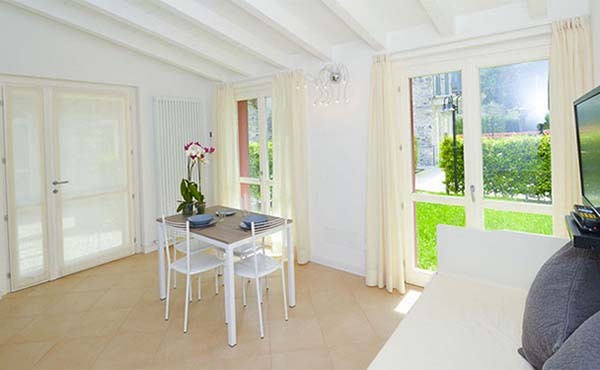 Apartments “Villa Colombina” are located 400m, 7 minutes walking distance from Hotel Silvio.